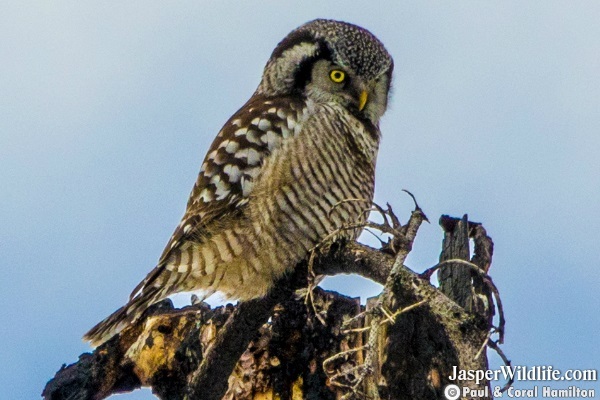 Jasper's northern hawk-owl (Surnia ulula) is a medium sized true owl of the northern latitudes. 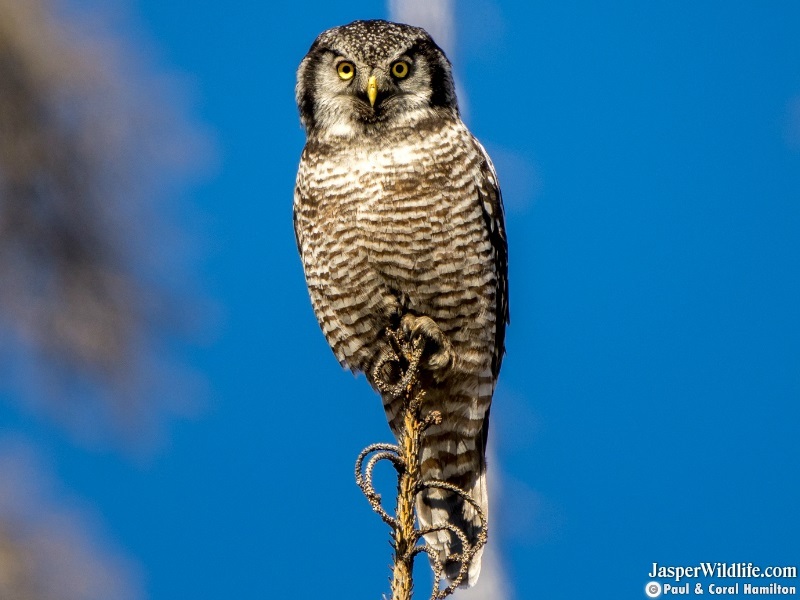 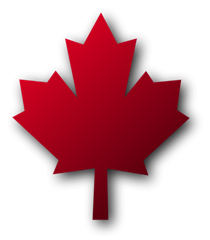 Northern Hawk-Owls do not migrate and usually stay within their breeding range. 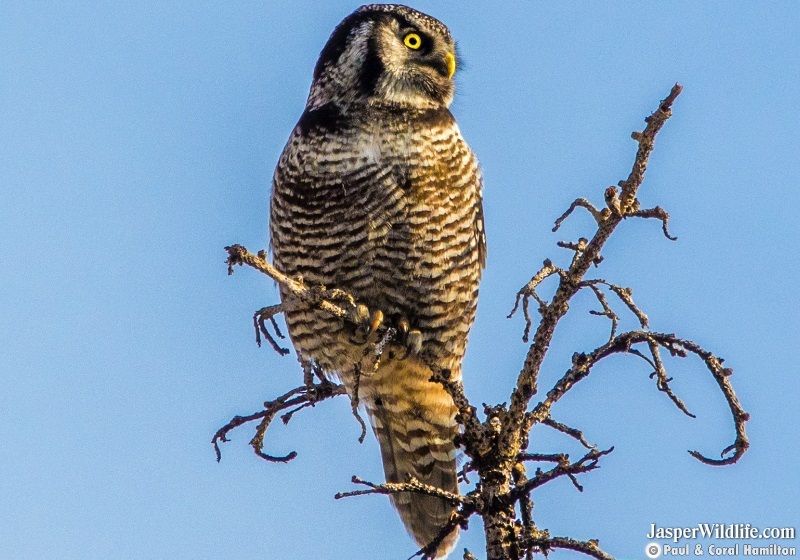 The Northern Hawk-Owl is one of the few owls that are not nocturnal. 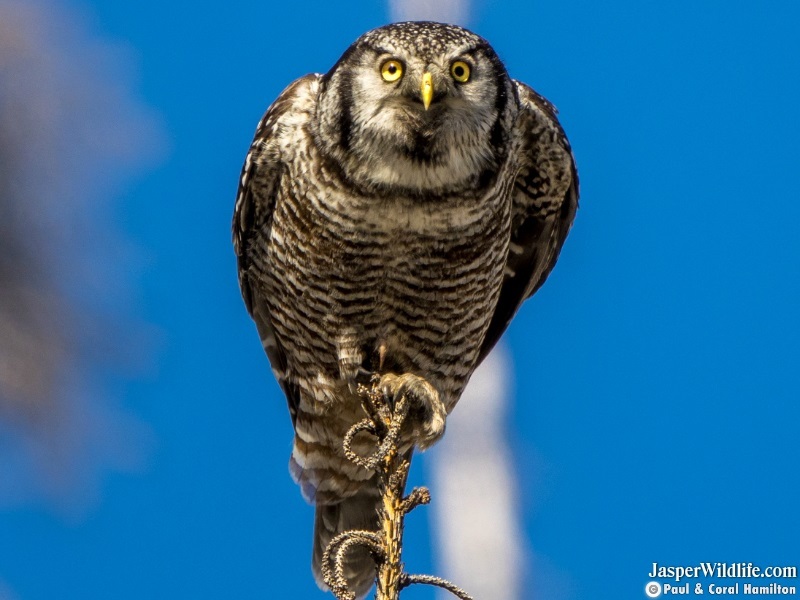 Being active only during the day, this species is sometimes called simply the "Hawk Owl"; however, many Owl species in the genus Ninox are also called "hawk owls". 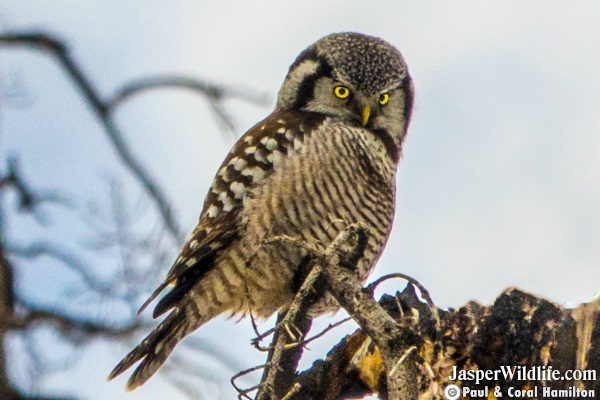 The northern hawk-owl resembles a hawk in appearance and in behavior. 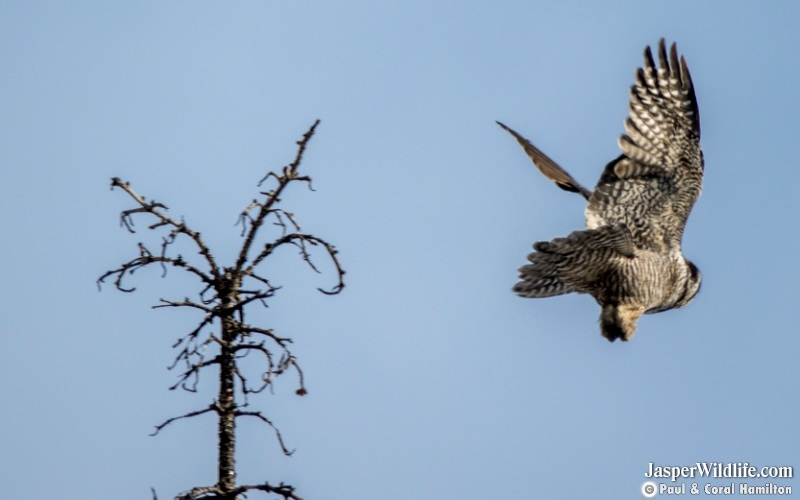 In North America, its appearance in flight is often considered similar to a Cooper's hawk. 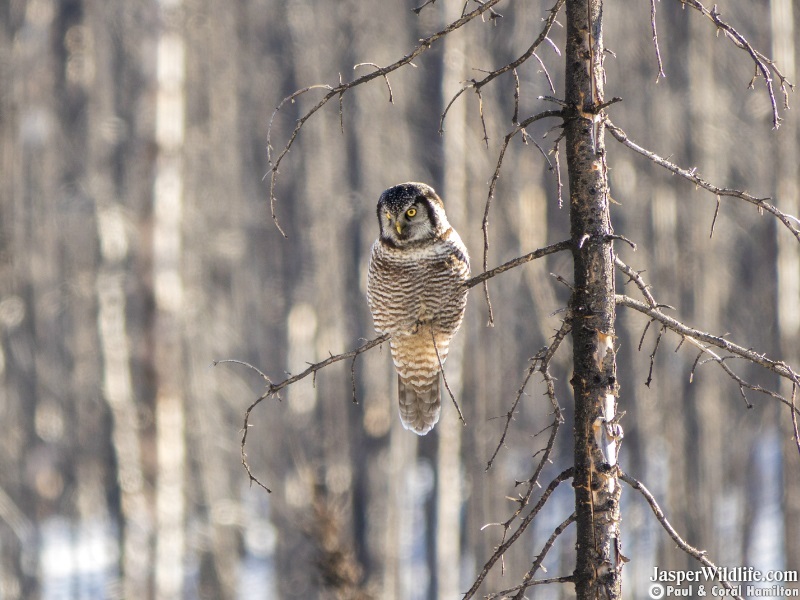 Northern Hawk-Owls are said to possibly fill an important diurnal niche similar to that of day hunters such as hawks.